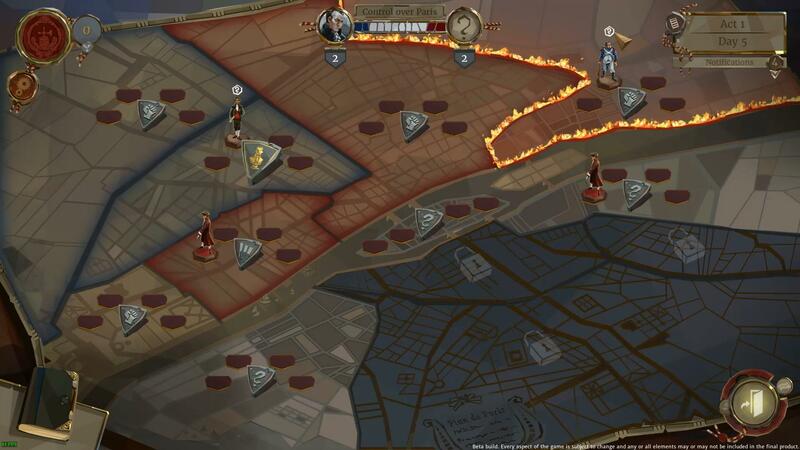 We The Revolution is an unusual strategy with a unique visual style, the events of which take place during the French Revolution of 1794. 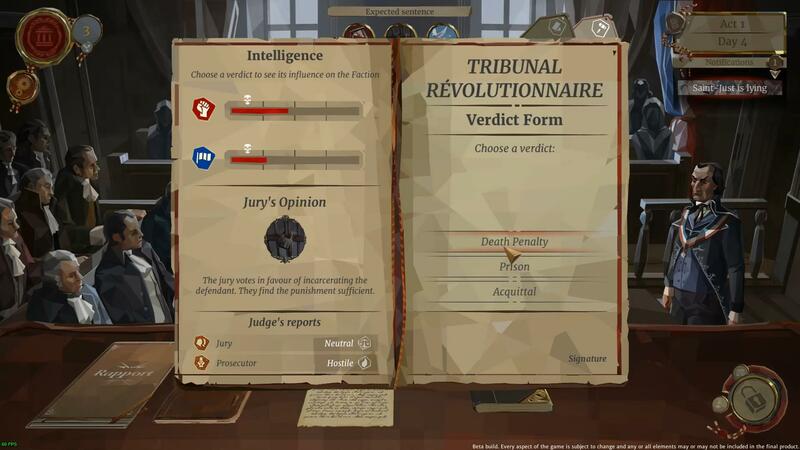 Players will assume the role of the judge of the Revolutionary Tribunal and administer justice, investigating the court cases of citizens, criminals and enemies of the revolution. 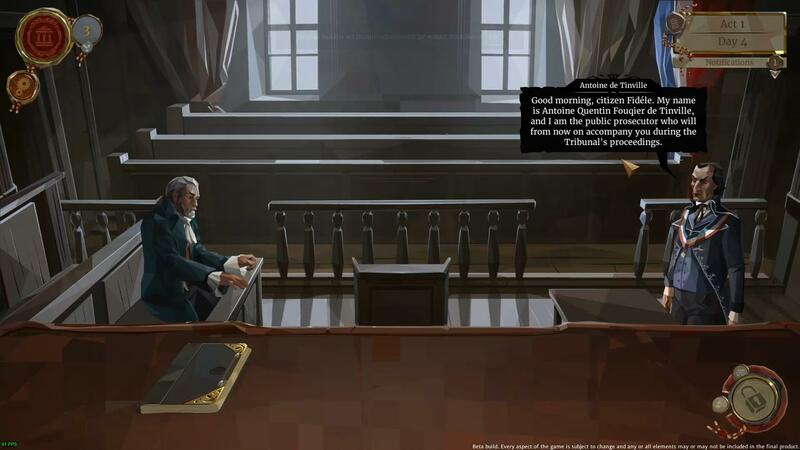 The players play the role of a judge at a revolutionary court, and it depends on the decisions of the players who will live and who will die, who will remain at liberty, and who will be thrown behind bars. Each decision gradually changes history, and the fate of the players depends largely on the decisions made by them. The game will send us during the Great French Revolution. In the role of judge of the Revolutionary Tribunal, we have to deal with the complex affairs of ordinary citizens, criminals, revolutionaries and their enemies. It depends on our decision who will go unpunished and who will go to the guillotine. It is not surprising that many factions that compete for power and influence will wish to influence the verdict. The game will be a lot of morally ambiguous situations, and no easy answers are promised. Every sentence can turn the tide of the revolution. We will have to constantly gather information, delve into intrigue, recruit agents, go to deals and try to gradually subjugate all Paris to our will. Download & install Update v1.0.2 / v1.0.3 / v1.0.4 / v1.2.0 / v1.2.1 / v1.2.2, in game folder. Copy the contents of the folder «CRACK» to the folder with the game. This game has been updated 20-04-2019, 04:34 to the latest version v1.2.2. Vive la We. The Revolution! The We. The Revolution Update 1.0.1. Can you just add link for the udpate please ? Deus Vult, link is added.